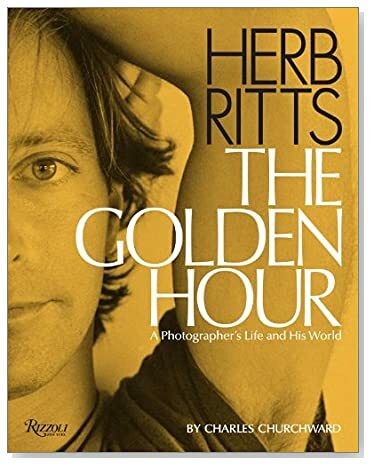 Join us tonight at Moss Outdoor at 530 South Guadalupe Street, Santa Fe, for a lecture and book signing with Charles Churchward for his new book Herb Ritts: The Golden Hour, A Photographer's Life and World. The event runs from 6-8 pm with books available for purchase supplied by photo-eye. The Golden Hour reveals for the first time the personal aspects of Ritts’s world, work, and legacy and includes many never-before-seen photographs and scores of interviews from business associates, curators, staff, lovers, and family, such as Cindy Crawford, Elton John, Anna Wintour, Madonna, Calvin Klein, and Christopher Buckley (Ritts’s college roommate). The diverse images in the book includes shots from Ritts’s personal archive—behind the scenes at photo shoots, parties, travels, intimate portraits, and moments with friends—along with notes and contact sheets that show how ideas evolved to became his iconic images. 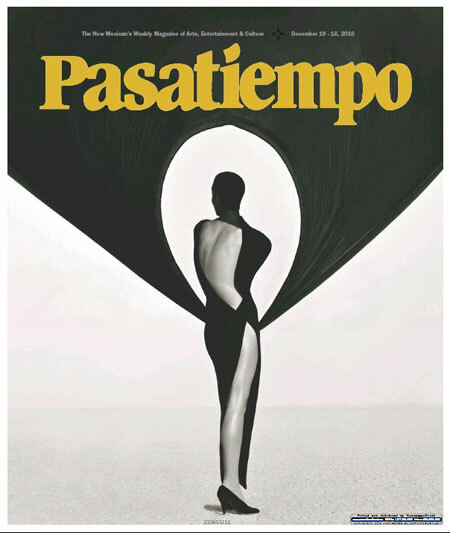 The December 10th Pasatiempo has a wonderful write up of the book (by Laurel Gladden) and features a Ritts photograph on the cover. As Gladden notes, the book is an unusually vivid biography, telling the story of Ritts' life through the tales of the people who knew him best, and crafted by one of Ritts' best friends.